Clarion Inn Lake Buena Vista is a luxurious family-friendly hotel to the south of Orlando with close proximity to Walt Disney World. 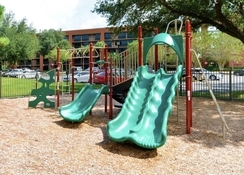 Combining warm hospitality, convenience and comfort, this 23-acre property is well connected to top attractions like Disney Springs, SeaWorld Orlando and Orange County Convention Centre - so you're never too far from the action. This smoke-free hotel has two restaurants serving delicious cuisine and there is a convenience store and deli on-site, too. There are two outdoor swimming pools and an interactive water play area, Ozzie's Splash Zone, sure to entertain the little ones. It is also a pet-friendly hotel, so guests can bring their furry friends along on their holidays with prior booking. You can explore the parks, dining, shopping and entertainment as soon as you land, with Orlando International Airport just minutes away. 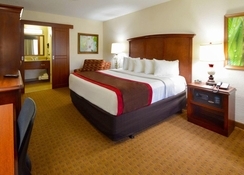 Clarion Inn Lake Buena Vista is the perfect place to stay if you want fun-filled family holidays in Disney and beyond. 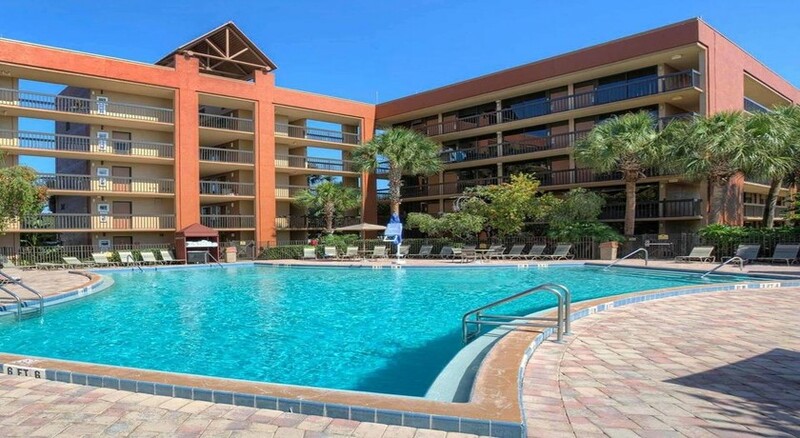 Clarion Inn Lake Buena Vista is less than 3 km away from Disney Spring (formerly known as Downtown Disney) and the Walt Disney World Resort. The hotel runs shuttles to all major Orlando theme parks. The Universal Orlando Resort is at a distance of 13 km and the nearest airport is Orlando International, 19 km away. The luxurious air-conditioned guest rooms at Clarion Inn Lake Buena Vista are equipped with either two double beds or one king-size bed. All rooms are furnished with pillow-top bedding, oversized armoires with full-length mirrors, refrigerators, microwaves, coffee makers, irons, ironing boards and safes. 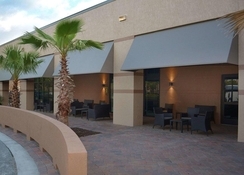 Clarion Inn Lake Buena Vista offers sumptuous buffet and a la carte menus to its guests. There is a Free Dining scheme for kids under 9 when an accompanying adult purchases the buffet, too. All the main meals are offered buffet style. There is a Lite Bite Mini-Market and Deli which serves baked items, pizzas and light snacks during afternoons and evenings. There is also a Comfort Zone Bar & Grille on site that serves as a good meeting point amidst drinks and snacks. 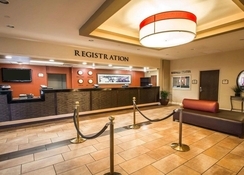 There is a tour desk at Clarion Inn Lake Buena Vista and ticketing and transport services to all major theme parks. There are two outdoor swimming pools with heating facilities and one for kids called Ozzie's Splash Zone. 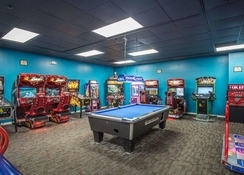 In addition, a 24-hour game room, children's playground and lushly landscaped 23-acre hotel grounds will enthral the tiny tots.